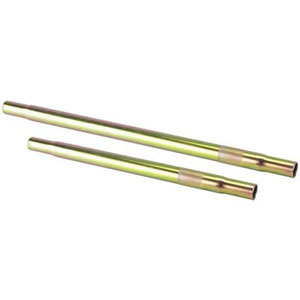 Tubes & Rod Ends : 3/4" Steel Swedged Tubes - 10" to 18"
Each 3/4" thread steel swedged sleeve has a 1" O.D. tube, 0.095 wall, and 3/4" RH and LH fine threads. Specify length. From 10" to 20"
Size Choose 10" 11" 12" 13" 14" 15" 16" 17" 18"
Specify Length. 10" to 20"